On Wednesday the UCI Track Cycling World Championships return to France for a 15th time, taking place at the brand new National Velodrome in Saint-Quentin-en-Yvelines, to the southwest of Paris. It will be the first time France has hosted the world championships since 2006 in Bordeaux. Track cycling is the oldest UCI discipline, with Paris hosting the first UCI world championships in 1900, as well as being the first to include women, in 1958. 2015 is also the 120th time a Track World Championships has been contested, dating back to 1893. Already the new track is drawing praise from athletes, and fans can expect to see some aggressive racing when competition gets underway on Wednesday, February 18th. In addition to the battle for the right to don the rainbow jersey of world champion in the 19 events to be contested, every country will be looking to score highly coveted ranking points for the rapidly approaching 2016 Rio Olympic Games. The facility is impressive, with Canadian sprinter Hugo Barrette saying it is the fastest sea level track he has ever ridden on. Team Canada's coaches agree, and expect to see some records broken. The track is 8 metres wide, with the corners a steep 43.8 degrees. To the eye, it appears almost round, with not much in the way of straights. The facility is huge, with seating for 5000. Competition begins on Wednesday afternoon with the opening rounds of the team events for men and women - the Team Pursuit and Team Sprint. Great Britain continues to be the squad to beat in the women's Team Pursuit, with Australia, Canada and New Zealand all hoping to upset. Canada did not qualify a team for the men's competition. Germany and China are the leading contenders in the women's Team Sprint, with Germany and New Zealand for the men. Wednesday evening will also see the start of individual competition with the women's Points Race. Three titles will be awarded on the first day - the men's and women's Team Sprint and the women's Points Race. Thursday will bring the conclusion of the Team Pursuit for both men and women, and medal finals for the men's Keirin and Scratch Race, plus the women's 500m Time Trial - five titles in total, the most on any one day. Canada expects to be in the women's Team Sprint medal round, and will have Kate O'Brien for the 500m and Hugo Barrette for the Keirin. On Friday, the men's Omnium begins, as does the women's Sprint. 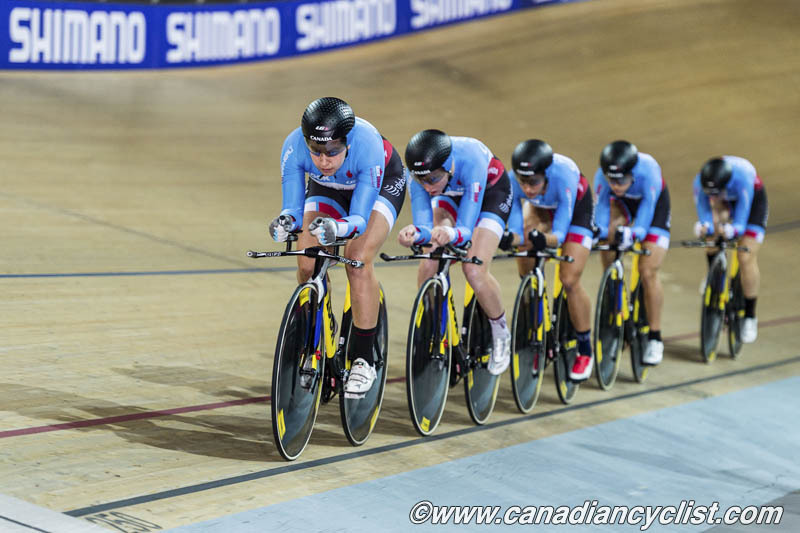 Medal finals will be held for the men's 1000m Time Trial, the men's Points Race and the women's Individual Pursuit. Monique Sullivan will contest the Sprint and Jasmin Glaesser the Individual Pursuit. Four titles will be awarded on Saturday - the women's Scratch Race, women's Sprint, men's Individual Pursuit and the men's Omnium. The women's Omnium will also begin, as will the men's Sprint. 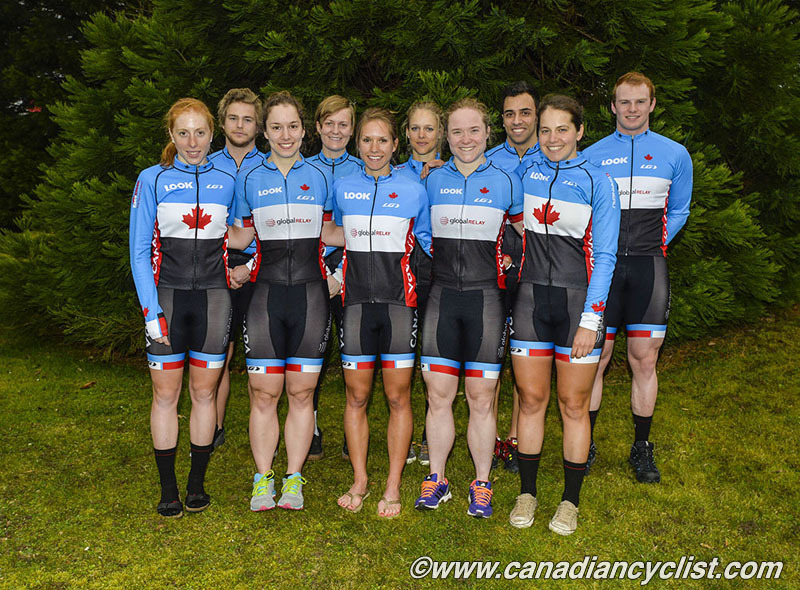 Allison Beveridge will compete in the Scratch Race, while Joe Veloce and Barrette will be in the Sprint. The 2015 UCI Track World Championships conclude on Sunday with four titles awarded in the women's Omnium, women's Keirin, men's Sprint and the crowd-favourite men's Madison. 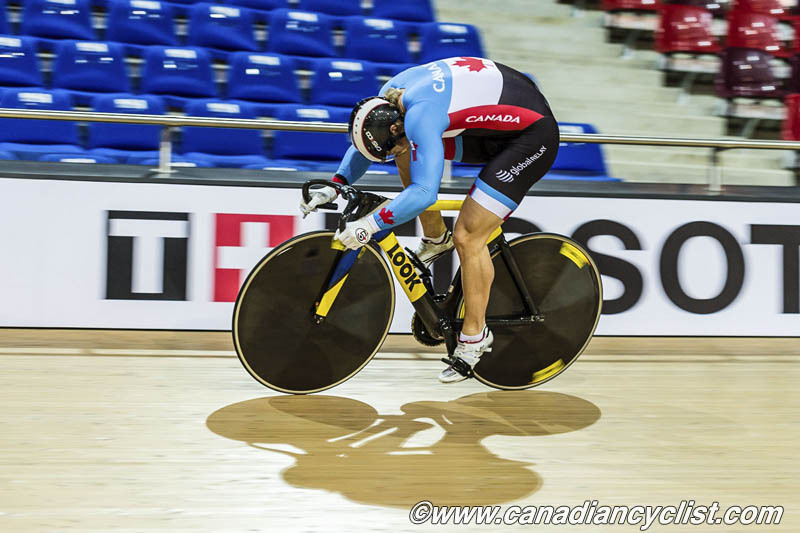 Monique Sullivan will represent Canada in the Keirin.